Twenty-seven-year-old Clarissa Abbot has just taken a position as pastor at Shore Side Community Church in Shore Side, New Jersey. 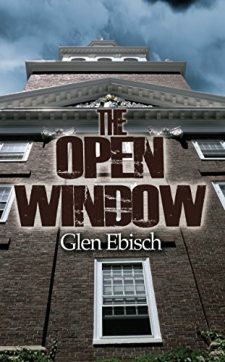 As if her new job is not challenging enough, she finds new difficulties when a member of her congregation is murdered in the hospital before he can pass along an important piece of information about a past crime.Feeling guilty because she could not convince him to confide in her, Clarissa begins an investigation into his death, which quickly leads to a murder than happened over fifty years ago. 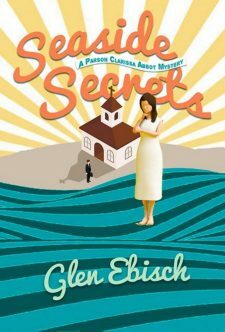 In addition to this, a shady real estate deal potentially involving the church brings her into contact with a handsome young lawyer whose interest in her is more than professional. When seventeen-year-old Abigail Taylor turns down the proposal of Tom Dawkins, her family feels that she must go out and make her own way in the world. So a position as a servant is secured for her in the home of Ralph Waldo Emerson. 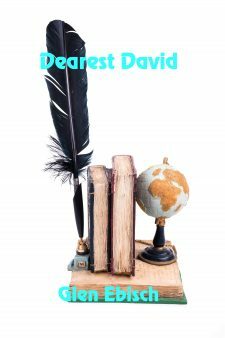 DEAREST DAVID is the story of the few months in the year 1841 during which Abigail experiences life in the Emerson household at the peak of both its intellectual and emotional intensity. She falls in love with the free spirited but emotionally cool Henry David Thoreau. She discovers the power of the prophetic and frightening Lidian Emerson. She meets the charismatic and radical Margaret Fuller. And she learns to respect but also to recognize the limitations of Emerson himself. When the body of journalism professor Joseph Teller is found outside his office building on the Minton State University campus, questions are raised as to whether he fell or committed suicide. Both seem plausible since the open window in his office sits very low, and he lost his wife to cancer a little over a year ago. Kate Cameron, a retired police officer and current real estate broker, gets involved when her boyfriend, editor of the local paper and former student of Teller’s, asks her to investigate the death in order to make certain the truth is revealed. She soon discovers there are a number of less obvious reasons for Teller’s death. Adding to Kate’s woes, Bianca Fitzsimmons, a loose-cannon student intern on the paper, interferes in the investigation, although she sometimes seems more interested in having a romantic relationship with Kate’s boyfriend. As the investigation proceeds, Kate finds that she must not only reevaluate the evidence concerning Teller’s death but also her own personal life. Glen has taught philosophy for over twenty years. He has been writing for the same length of time, and has had over thirty novels published. He lives with his wife in Western, MA.